See our Shipping page before sending for repair. 1) Remove two screws from left side of CD changer. 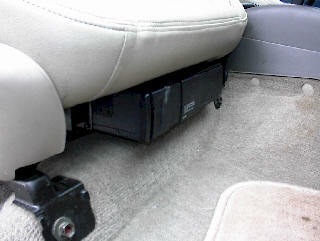 1) Remove two screws from right side of CD changer. 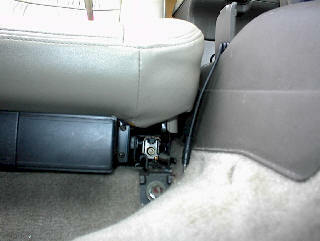 1) Under seat, cut wire tie securing connector to bottom of seat. 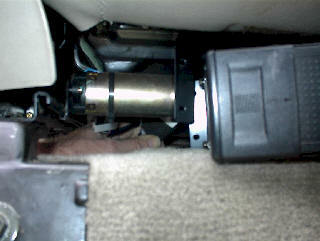 2) Release trigger on connector and disconnect. 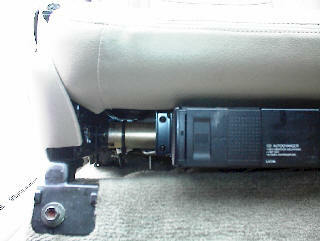 1) Pull CD changer forward from under seat.